There's nothing like a cold refreshing beverage on a humid Minnesota day. (see the condensation on the glass? 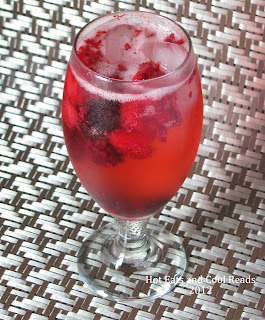 lol) These Mixed Berry Spritzers are perfect. I just love the bubbly soda and chunks of fruit floating around. They are easy to prep and each person can add as much or little fruit as they want! Serve these at your next BBQ, get-together or birthday party and everyone will love them! You could also make an adult cocktail spritzer by adding your favorite clear liquor! 12-24 hours prior to serving, combine berries and sugar in a bowl. Cover and refrigerate until serving. 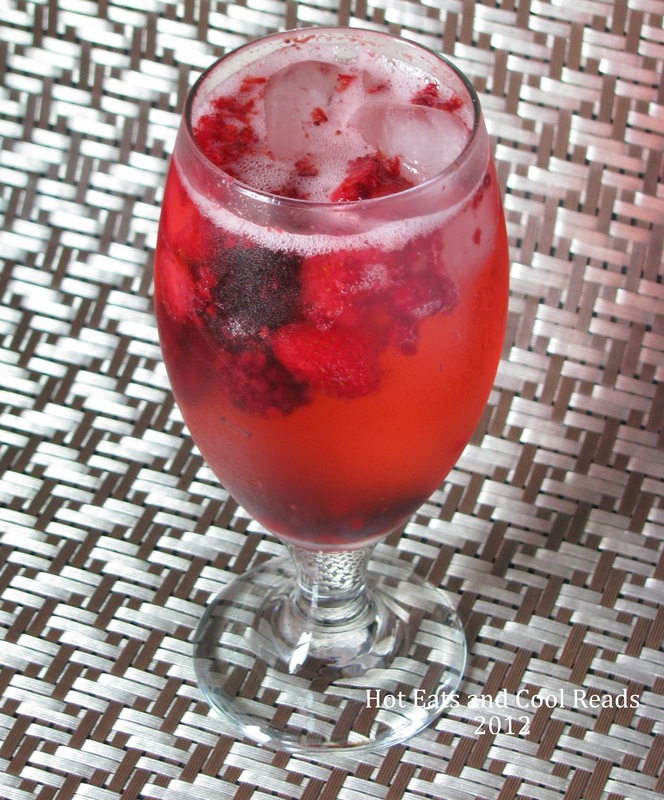 Scoop a couple spoonfuls of the berry and syrup mixture into a glass. Add ice and soda. Stir and enjoy! Thanks Jamie! It's so tasty! What a refreshing beverage, I would really enjoy this. Your recipe is awesome! Hope you have a great weekend and thanks for sharing with Full Plate Thursday. It was fabulous without vodka! Thanks!! This looks very refreshing! Thanks for sharing on Foodie Friends Friday! Yours looks much better than Starbucks. Thanks for sharing it on foodie friday. Thanks Diane! I've never had one at Starbucks before! So refreshing!! I'd love one now! :) LOL My name is Cindy and I blog over at Vegetarianmamma.com I wanted to invite you to link up your recipe at our Gluten Free Fridays Recipe Link up party! It happens every Friday and we'd love to have you join us with some of your awesome recipes! You can find this week's link up here: http://vegetarianmamma.com/glutenfree-fridays-recipe-party-4/ It doesn't mean that you have to be a gluten free bloggers. If you have some recipes on your blog that are gluten free that counts! :) Many recipes are naturally gluten free. I wish I had a glass right now. It's so hot here today. Your drink looks so refreshing. Thanks Brandi! I wish I had another one now too! Thanks so much for hosting Krista! I love drinks like this too! This looks scrumptious and refreshing. I so need a few drink recipes! I can’t wait to try the recipe. Thanks so much for linking up last week to Creative Thursday. Can’t wait to see what you have for this week’s party! Have a great week. Thanks Sarah! Glad you stopped by! !